all that for 1 day? The buildup is huge for Easter. We are praying hard and working hard trying to get everyone we know excited about this Sunday. There are networks of pastors encouraging each other, we are inviting people like crazy, we are working hard to see our churches filled with people this Sunday. Once Easter is over, will there be any residual from all of this effort? Or will there just be a temporary spike in church attendance and the week following, everything goes back to normal? There is a young couple at our church who came for the first time on Easter. They gave their hearts to Jesus. They are serving Him. They support His work. Is it worth it? You bet it is! If just one person comes to Christ and has their life turned around on this Sunday– it is worth all of the effort and work and prayer and sacrifice. So I am going full speed this week building up Easter at Cross Community Church. Will you join me? I am thinking that this Sunday’s message has the potential to be really good. I am not bragging. It is not my message. It is God’s message. But at the risk of sounding salesmanesque… you really need to hear this one! 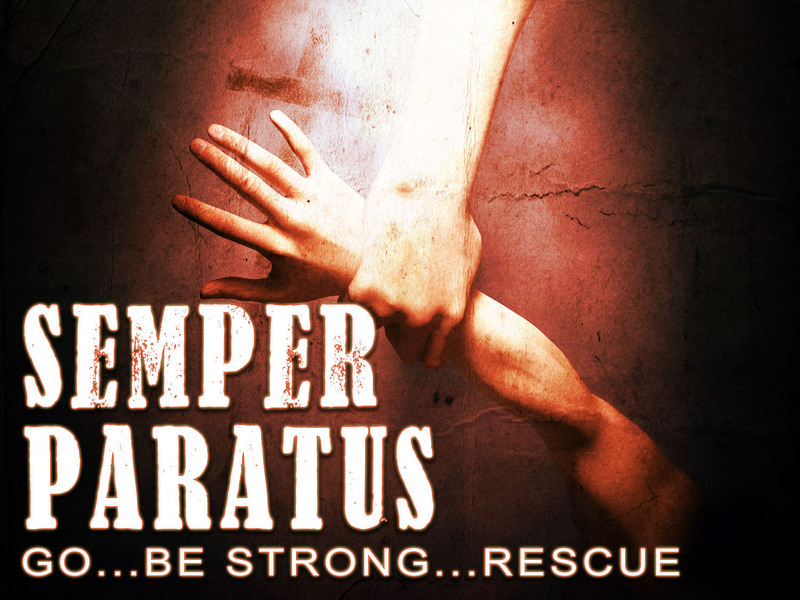 We are wrapping up Semper Paratus, an in-depth look at the amazing life of Gideon in Judges 6-7. There are 3 reasons why this message is going to rock. Gideon’s story is one of the most entertaining and inspiring stories in the Bible. The stuff he did was miraculous and kind of unbelievable. There is a bunch of motivation we can get from his life. The story could not possibly be more pertinent to where Cross Community Church is right now. Our leaders are connecting with the story on a level that I haven’t seen in quite a while. I feel like looking at Gideon is a glimpse into my life right now. Those who know me best have to be raising their eyebrows as I work my way through these passages. This Sunday will only be more of the same. Pay close attention to the major points I will make, if you want to explore the deep recesses of the sometimes unusual ways in which I think. But the message is not about me, it is about Gideon. More importantly, it is about God and what He wants to do in your life. So forgive me if it sounds like I am promoting myself. I don’t mean it that way. I came across some really valuable material while reading a book last night. Yes, reading is Fun Da Mental. Christian Reflections on the Leadership Challenge by James M. Kouzes and Barry Z. Posner is an excellent read which I recommend for anyone aspiring to lead well. I’ve seen the movie, The Passion of the Christ several times. 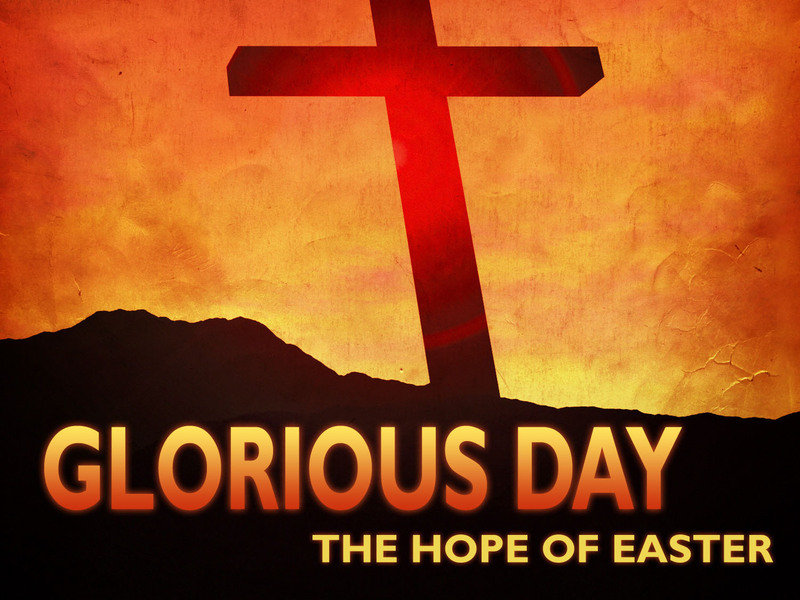 I know what Passion Week (aka Holy week – next week!) represents. But I don’t think I’ve ever put together how passion in my life actually means suffering. Through the years, I have gotten pretty intense about some key issues – family, church ministry, helping orphans – and many times my passion on these issues has gotten me into trouble. As I look back, I recall many times in life when I spoke and acted with passion and the results were not good. It may not have been that the responses I received were painful, as much as the passion itself was painful. In order for me to get really in-depth passionate about something, there must be something wrong. Someone is destroying their life and I am helpless to stop them; a child is going without food and people don’t want to help; Christ-following people are apathetic while their lost friends and family die without Christ. All of these things have resulted in my passion. And all of them have been quite painful. And up until now, I guess I was surprised by the pain. But no longer. Thanks, Kouzes and Posner for opening my eyes. Of course passion is pain. What else could it mean? Look at how much suffering Jesus endured during Passion Week. I just pray that I never become passionless. It may get tempting when you get tired of the hurting. But the pain of passion is better than death by apathy. I have a friend who is a pastor who needs heart surgery. He’s putting it off until after Easter so he can fulfill his responsibilities at church during the busy holiday season. He is risking damage to his heart. As a friend, I kindly told him that I think he’s crazy. While I completely get guys like my friend, his dedication and priorities, his decision makes me wonder why we do the things we do. Here’s my plan for Easter: my daughter, Jessica and her husband Josh are coming to visit us from Guatemala. They are missionaries at Casa Shalom orphanage. This is my top priority this Easter season. I do plan to go to church services, in fact four of them between Good Friday and Easter. But I am not going to neglect my family. Jess is expecting her first child, a girl (Sophia!) who will be born in early June. This will be the last time we are together before their lives change forever. Wild horses couldn’t drag me way. And neither could a busy Easter season at church. God comes first in my life, clearly He is my priority. But everyone and everything else is a distant third to my family. It’s going to be an awesome Easter! God does not call us to do easy things. A cave is relatively safe. But you don’t win battles in a cave. God does not mind our cautiousness. God does mind our disobedience! Sometimes God reduces our resources because we rely on them too much. Fear will remove you from the battle. But it will also remove you from the victory. Those who quit lose both the battle and their dignity. Join us if you’re in town! Cross Community Church! I have a theory that the number of quality leaders that are making themselves available to various organizations may be in the process of being reduced. Many successful business leaders in the private sector are saying “no” to opportunities in the political world. Some of our best physicians are deciding not to practice publicly because of increasing litigation. Pastors of successful churches are declining offers of leadership positions in their denominations or fellowships. The result of all of this? : The quality of leadership is on the decline. Current leaders, please do not be offended or insulted by this. You are doing an amazing job. But we could use some help, right? I hear it all the time. In the last three weeks, I have heard people respond to simple leadership opportunities with, “I like my lifestyle, I really don’t want to do anything right now” and “It may be time for us older leaders to step aside and make room for some new leaders.” This is code for, “I am not leading anything”. More is expected from leaders and some people prefer low expectations of themselves. Leaders are held accountable and some prefer to be unaccountable. Leaders are responsible for others and some folks prefer to fly solo. Here is the problem: as the leadership pool dries up, the quality of our organizations and lives decreases. We are all paying the price. We need men and women who are not afraid to accept the responsibility of leadership. Not everyone is called to lead but many who are, won’t. So how about it – are you called to lead something? If so, please give serious consideration to the results before you say no. in a rut or in a groove? Patterns – you either love them or hate them. If you are a creative type, one of those free spirits, you probably disdain predictability. Go with the flow is more your style. Spontaneity and improvisation – there we go! You control freaks (I say that lovingly) among us need order. You not only want to know the agenda, you want to set the agenda. Systems and structure and form – that’s your idea of a good time. I think I’m somewhere in the middle of those two. I like to know what’s coming next but a little adventure does my heart good. I like variety. But let me tell you what I don’t like: Ruts. Ruts kill us! A rut is that place where forward progress stops. You keep spinning your wheels but you go nowhere. You expend all of your energy but the scenery never changes. We need to distinguish between a rut and a groove. The biggest difference between a rut and a groove is that a groove takes us someplace – we get stuck in a rut. Grooves are when things are working. Life is happening. Stuff gets accomplished. Ruts are different. The harder you work, the deeper you dig. If you are in the same place now that you were a year ago, classic rut! I hate ruts. While I can’t offer any simple solutions if you are in a rut, I can tell you what doesn’t work: working harder at what you are already doing. As the old saying goes – When you find yourself in a hole, stop digging. 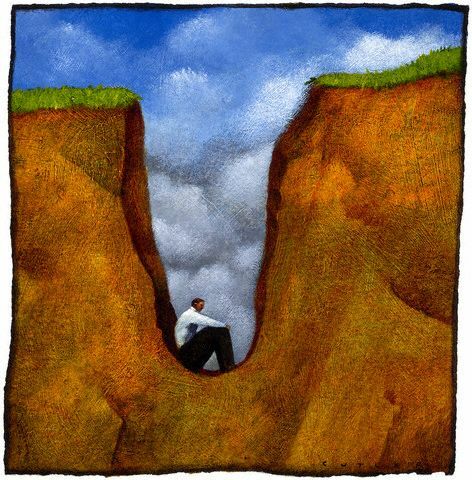 Take a risk: Innovation and risk are necessary in order to get out of a rut. You have to takes some chances. Try something new. The result may be the same but if it is, try something else. Keep trying until you get out of that rut. Consult with a friend: Ask someone who has been in a similar situation. Maybe they can offer some encouragement and advice. It can’t hurt, right? Pray: God also hates ruts. Ask for His help and He will assist in the digging out process. Here’s the deal – never get comfortable in a rut. Others may like it and even resist when you try to escape it (misery loves company) – maybe you’ve been in a rut for a long time – but God did not create you to live in a rut. Get Out!